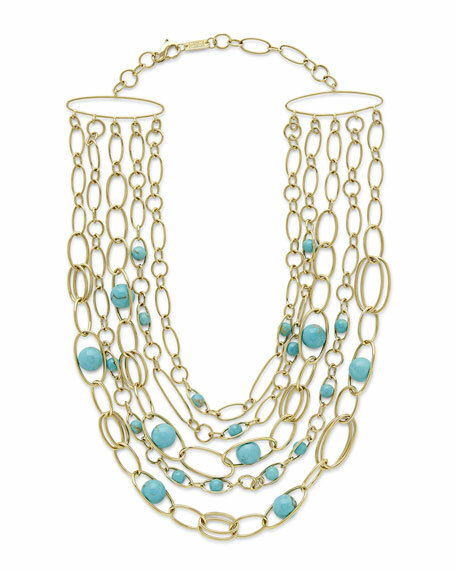 Ippolita collar necklace from the Nova Collection. Polished 18-karat yellow gold links and hardware. Floating turquoise spheres and mixed links. Multi-strand layers inspired by galaxies.